The Loddon Plains Landcare Network has a number of nest boxes constructed by local Men’s Sheds and distributed around the Loddon Shire. Recent acquisition of a nest box monitoring camera will enable the effective monitoring of these nest boxes through a community led monitoring program. To register your interest in joining a new monitoring program in 2016, please contact us. 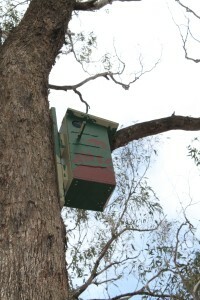 Funding for the nest box camera and nest boxes was provided through a Loddon Shire Council Community Grant.